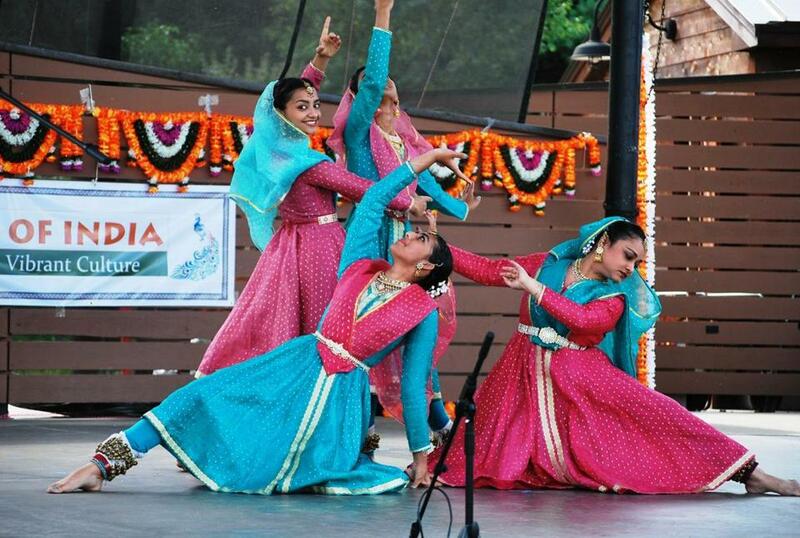 Essence of India | Acton Traditional dancers will be among the attractions at the Aug. 17 event in NARA Park. With the final days of May having ushered in the region’s first heat wave of the year, it finally seems plausible that summer is coming. And while all the usual hot-weather attractions are as appealing as ever, going to the beach means spending a lot of time on the highway, and inviting friends over for a cookout means, well, shopping and cooking for your friends. Where to look, then, for a decadent summer celebration — which, to many, means no driving and no labor? Take advantage of a festival, fair, or outdoor concert close to home. Many officials in the communities outside of Boston have commented that the tumultuous events of the past few months haven’t dampened the desire among residents to go out and have fun — quite the contrary. After a long, snowy winter and a lot of jarring news headlines from the April 15 Marathon bombings, there’s never been a better season to join in the festivities going on across Greater Boston. 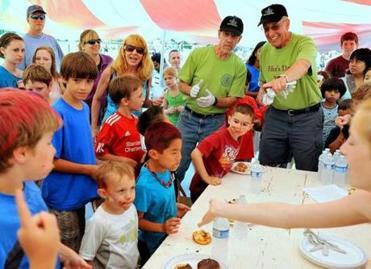 Kids take part in a hands-free donut eating contest as part of Boxborough's Fifer's Day festival. Here is a list of some of the festivals and other diversions on tap this summer in the suburbs west of Boston. Fifer’s Day, held at Fierra Meadows on Stow Road in Boxborough, takes place Saturday with a full day’s schedule of events. Run a road race, cheer for the parade marchers, attend the awards ceremony, browse amid hand-made works of art at the crafts fair, or even participate in a volleyball tournament. Go to www.boxboroughminutemen.org for more information. Closer to Boston, the Waltham Riverfest returns for its fifth annual installment, with activities from 4 to 9 p.m. Friday and 10 a.m. to 6 p.m. Saturday. Among the many free events planned to celebrate the city’s culture and heritage are kayaking on the Charles River, an outdoor evening concert by the Waltham Philharmonic Chamber Players, a guided river walk, a variety of family activities, a schedule of live music, and even a pet parade. All events take place near the Moody Street bridge. For details, go to www.walthamriverfest.com. Hopkinton is among the many communities in the region that greet summer with an evening concert series. The town’s weekly “Concerts on the Common” offerings begin next Sunday and run through Aug. 11. As a special highlight this year, the Hopkinton Farmers Market has been moved from its location at Weston Nurseries to the downtown green, where it will set the stage for the concerts. The market will be open from 1 to 5 p.m., when the musicians will go to work. This season’s lineup will include the Beatles tribute band Help!, the Reminisants, a Grateful Dead tribute band, Playing Dead, and the Hopkinton Community Band. For more information, go to the Parks and Recreation Department page at www.hopkinton.org. Brookline is another town that celebrates summer with outdoor music. A concert series offered by the Recreation Department takes place on Wednesdays at 6 p.m. at Emerson Park on Davis Avenue, from July 10 through Aug. 14. Musical styles to be explored in this series include soul, oldies, bluegrass, and children’s tunes. For more information, go to www.brooklinerec.com. 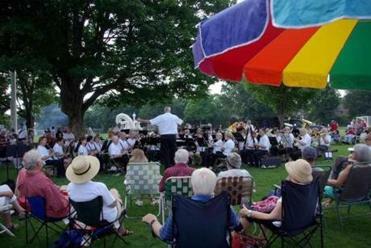 In Carlisle, the theme of this year’s Old Home Day is “Wild Carlisle.” The two-day lineup of events kicks off June 28 with a music cavalcade, ice cream social, and family movie night on the town green. The next day’s festivities begin in the morning with 1- and 5-mile road races, followed by a pancake breakfast, a parade, a country fair, and many other opportunities to eat and have fun before the traditional Firefighters’ Barbecue starts at 4 p.m. June 29 at the fire station. For more information, go to www.carlisleohd.org. The Concord Band performing at last year's annual Picnic in the Park. in the Park, a decades-old tradition whose name belies the extent of the activities it covers. Taking place on Emerson Field on Stow Street, Picnic in the Park begins with — weather permitting — balloon rides at 10 a.m., and youngsters lining up for the 11:15 a.m. bicycle parade; live music, first by the Jolly Rogues, followed by Southern Rail and the Concord Band, continues all afternoon, as do field games and other family activities. For more information, go to www.concordma.gov. While events that coincide with Independence Day tend to celebrate American traditions, summer is also a great time to explore other cultures. NARA Park, at 27 Ledge Rock Way in Acton, hosts a festival called Essence of India on Aug. 17 from 3 to 7 p.m. Sponsored by cultural councils in Acton and several surrounding towns, the exhibition of Indian culture in its many far-reaching aspects will include traditional dancing, crafts, clothing, jewelry, yoga, henna tattoos, and food booths. For more information, go to www.essenceofindia.org. The African dance troupe Rumbafrica will perform as part of Newton's series of Heritage Festivals in July. citizens. Its series of free events are held on Sundays from 6:15 to 7:45 p.m. on the Newton Centre green. 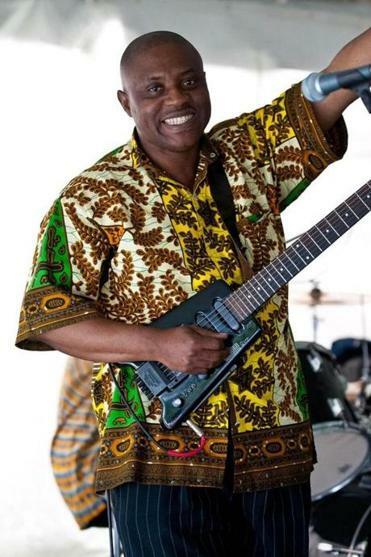 Focusing on music as a common theme, the Heritage Festivals will offer soukous music and dances from West Africa on July 7, a program of Jewish composers on July 14, music and dance from Cuba on July 21, and a mélange of Dixie, jazz, and big-band music on July 28. For details, go to www.newtoncommunitypride.org. Billed as a multistage, multiarts summer festival bringing a diverse lineup of both nationally recognized performers and emerging artists to Willard Field in Devens, “The Nines” is preparing for its inaugural installment, starting at noon on Aug. 10. The gathering will include a full day of live music, comedy, art installations, exhibitions, and interactive projects, and food and beverages. Musical groups scheduled to appear include Explosions in the Sky, Delta Spirit, Walk off the Earth, Shuggie Otis, and Kid Koala, while comedians perform under the “Stitch” comedy tent, curated by Harvard Square’s the Comedy Studio. For more information, go to www.theninesfestival.com. This year marks the 10th anniversary of Southborough Summer Nights, a single evening of entertainment, fireworks, and family fun designed to evoke traditional small-town summer gatherings. In honor of its first decade, this year’s gathering will have some new attractions and a new band, Better Her Than Me, playing dance music from the 1960s through the present. The festivities start at 5 p.m. Aug. 24 at the Neary Elementary School, 53 Parkerville Road, with a rain date of Aug. 25. Periodic updates will be posted on the Southborough Summer Nights Facebook page, and on the Recreation Department website, www.southboroughrecreation.com. And remember, outdoor celebrations need not end with Labor Day. Lexington will host the 20th annual Fine Arts and Fine Crafts Festival on the lawn of the Visitors Center at 1875 Massachusetts Ave. on Sept. 21 (rain date Sept. 22) from 10 a.m. to 4 p.m. Organized by the Lexington Chamber of Commerce, the fair features original, high-quality, hand-crafted work by local artisans. For more information, go to www.lexingtonchamberofcommerce.vpweb.com.